In this post, I share several that blessed me and a 3-minute highlight video that brings these comments to life. When I asked, “Why is gold the color for God’s glory?” they replied, “Because it’s beautiful. Because it’s valuable. Because it is so special.” As I taught them, I learned. Even so, kids are kids. There were times during what we called “Artistic Worship” (a term I learned from Lynn Hayden to describe a spontaneous time of worship, when the leader directs the worshipers to use props and movement to create a beautiful tapestry of worship) when the girls were vying for props, running and crawling under the billows, and crashing into each other. They weren’t being bad, but they were being silly, making me wonder where their hearts were at those moments. This was the case at the end of Thursdays’ class. So, I prayed before Friday’s class about how to reach their hearts, how to help them approach our celebration with parents with a true heart of worship. Worship is thanking God for what He has done. Worship is when you glorify God. Worship is when you use your body to give praise to God. We worship Him because He is the King. We worship him because of His majesty. We worship Him because He did for our sin and made us clean. If you get all dressed up and have a beautiful tiara and an elegant dress, but your heart is hard, it’s empty worship. 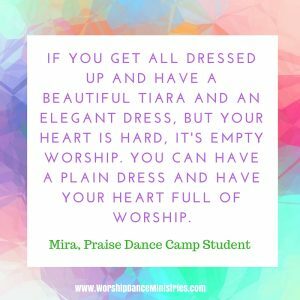 You can have a plain dress and have your heart full of worship. Worship is when you adore something/someone so much that you would do anything for them. When you worship, God shows you what is inside your heart. I share this with you so you can celebrate what God is doing in the hearts of children. I share it because many of you prayed for this camp, and I want you to hear how the Lord answered your prayers. And I share them so you can share my joy. Here is a 3 1/2 minute recap of our week together. I hope you are blessed by it. 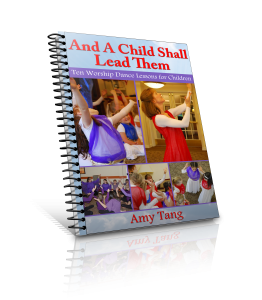 If you are planning a praise dance camp, what is one thing you want children to say at the end of it? Or, what do you think is the most important truth about worship that adults and children alike need to know? Or, what touched your heart about this video or these children’s comments. always love seeing your videos and reports. Praise God! so important to pass onto the generations. Thanks, Diane! Yes, so important. Praise God. Amy, thanks so such for sharing what the Lord did through you at Praise Camp. I felt that there was such joy and celebration in their worship and I loved that. I love the colors and the garments and the variety that you taught them. You are a wonderful blessing and you give it your all and you inspire us to do so as well. Hi Nanette. Yes, there was so much joy. And that was what we had prayed for. Thanks for praying for us and for taking the time to watch. Blessings! I wish we had the money to start something like this in New Zealand. I want to start a ministry like this down here, but to organise costumes for even one dance would cost a lot of money. Hi Annette. I, too, saw purchasing garments as an obstacle. But you do not have to have garments to start a ministry. I taught classes in my community for a fee a few years back, which enabled me to purchase some children’s garments. But for our first presentation, we did not have dresses, I simply asked the children to dress in black and purple. There was a unity to our clothing and the dance was beautiful. Over time, I earned money to purchase garments, a few at a time. 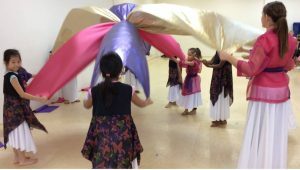 For dance camp, the children wore their own clothing. The registration fee included a bit extra to purchase the fabric to make the flags. Then, I lent them my garments. But even without the garments, the children could worship the Lord and share with their parents what they had learned. God owns the cattle on a thousand hills. Begin with what you have and you will be surprised by His provision. …& they r receiving…& returning….now that is pure joy!! !